I drove by this spot a number of times while I was working in Sonora in 2014, but never took the time to stop. I had lunch here when we were working in Sonora on Tuesday. 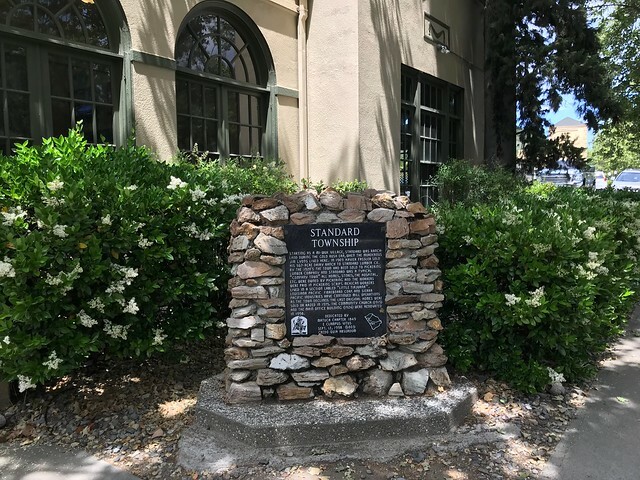 This marker is located at 19040 Standard Road, Standard, California. The GPS coordinates for this location are 37° 58' 09.1" N 120° 18' 48.5" W.
Starting as a Mi-Wuk village, Standard was ranchland during the gold rush era, when the murderous Jim Lyons lived here. 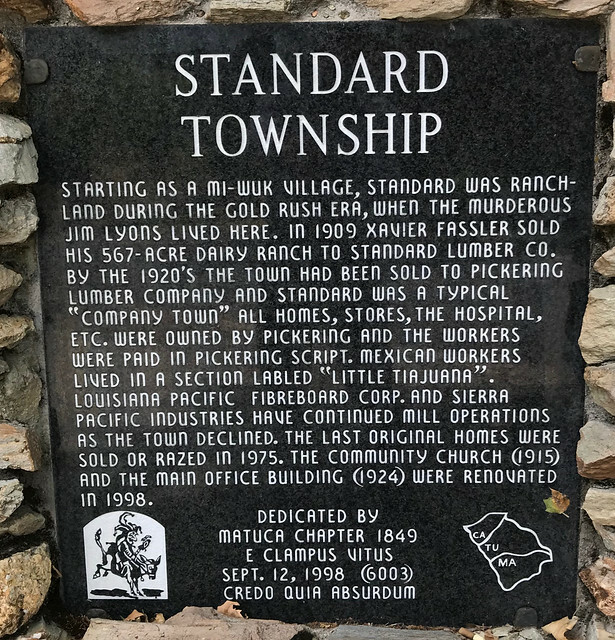 In 1909 Xavier Fassler sold his 567-acre dairy ranch to Standard Lumber Co. By the 1920’s the town had been sold to Pickering Lumber Company and Standard was a typical “company town” all homes, stores, the hospital, etc. were owned by Pickering and the workers were paid in Pickering script. Mexican workers lived in a section labeled “Little Tiajuana”. 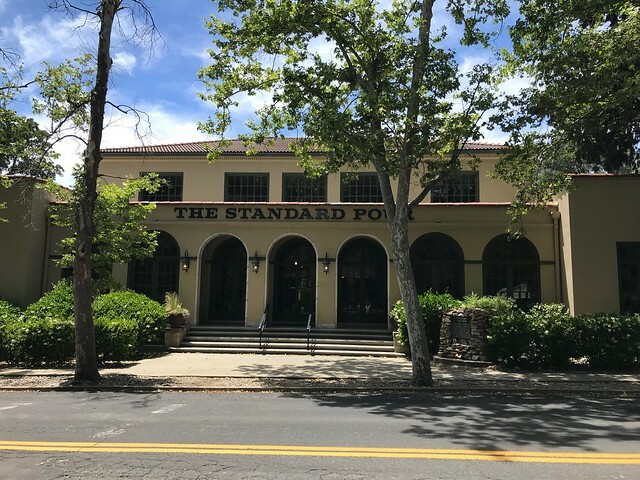 Louisiana Pacific, Fibreboard Corp., and Sierra Pacific Industries have continued mill operations as the town declined. The last original homes were sold or razed in 1975. The community church (1915) and the main office building (1924) were renovated in 1998.